Early results from this year show that the rate of Auckland properties selling less than they were purchased for has more than doubled since this time last year. Auckland is now seeing 7.2% of confirmed sales resulting in a capital loss for the owners. This percentage is also trending upwards as the market decline continues. 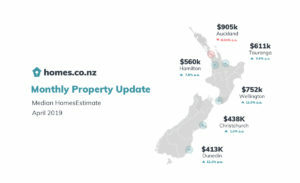 Auckland and Christchurch – Auckland has a growing rate of properties selling for a loss, and Christchurch continues to see this occurring in over 12% of all sales transactions. While the trend in Auckland is a result of a soft market (and is set to continue), we expect the trend in Christchurch is a result of the remedial work that continues to go on in the city. 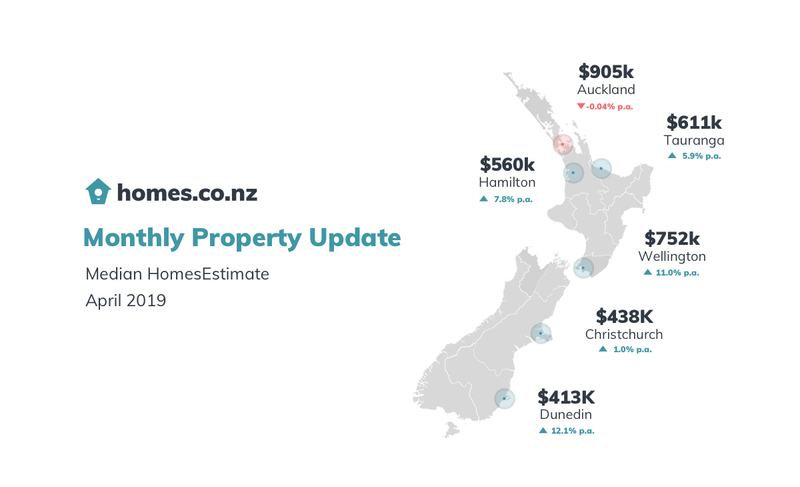 Wellington and Dunedin – The rate of properties selling for a loss are trending downwards as both markets continue to grow strongly. Our median HomesEstimate has increased in these areas by 11% and 13.4%, respectively. Only 1.6% of properties selling for a loss in Wellington, which is the lowest since the start of 2016, and lower than Auckland in its peak in 2016.